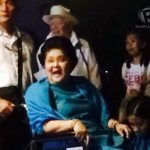 TACLOBAN CITY, Phililppines – Former First Lady Imelda Marcos was spotted in Tacloban City on Friday evening, January 16, a day before Pope Francis was set to visit the city. 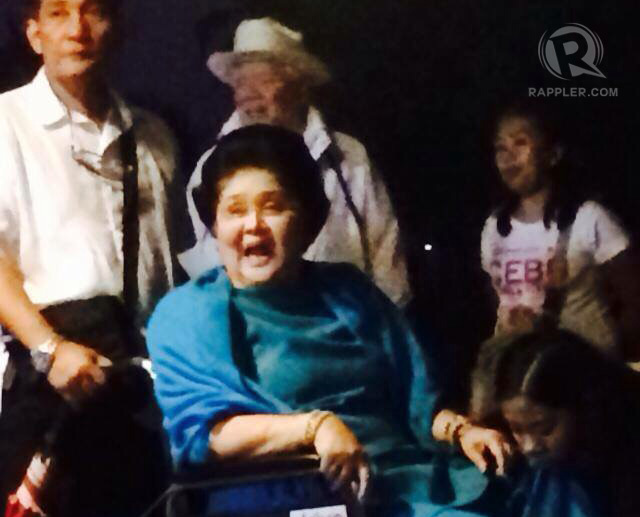 The wife of the late dictator Ferdinand Marcos was seen at the Patio Victoria Restaurant in a wheel chair. She was photographed smiling and in apparent good spirits. Patio Victoria is owned by city councilor Cristina Gonzales-Romualdez, wife of Mrs Marcos’ nephew, Tacloban City Mayor Alfred Romualdez. Mrs Marcos is a member of the influential Romualdez clan that has dominated local politics in Tacloban for decades. She used to be congresswoman of Leyte province before she was elected representive of her husband’s home province of Ilocos Norte. According to members of the Romualdez family who did not want to be named, Mrs Marcos will join the clan at the papal mass on Saturday. Pope Francis will spend most of Saturday, January 17, in Tacloban City and Palo town, both in Leyte. He will celebrate mass in Tacloban City and spend time with survivors of Super Typhoon Yolanda (Haiyan) in Tacloban and Palo. The Pope’s words are timely as the Philippine government, led by President Benigno Aquino III, tries to crack down on rampant corruption and institute governance reforms. Aquino is the son of two democracy icons, the late former President Corazon Aquino and Senator Benigno Aquino Jr, who fought the Marcos dictatorship 3 decades ago. Pope Francis, the leader of the world’s 1.2 billion Catholics, is in the Philippines for a 5-day pastoral and state visit.